In todays post we are going to focus on a topic that is near and dear to my heart. Many people, not just traders simply do not understand the power of the principle we are going to share with you today. If you fully grasp and understand this topic you will be mind blown. Compounding can literally change your life. It has been said to be the 8th wonder of the world. Running with this concept will allow your mind to open up to the possibilities that are available to you through trading and investing. Sometimes when we begin our trading careers we are short sighted. We don’t see the bigger picture and how trading can literally change our lives. As new traders we often focus on achieving huge returns in the first few months of trading and don’t quite know how small gains achieved over a lifetime can impact us. Large gains are great such as achieving 10-20% per month. This is definitely possible but I don’t want you to get down on yourself if you are consistently achieving 2-3% per month as well. Because achieving these returns consistently can also have a HUGE impact on your trading portfolio over the long term. When you consider the fact that 95% of traders and investors fail to make money… you should be ecstatic about the fact that you are making a consistent 2-3% per month. When we understand compound interest we develop a long-term perspective when it comes to trading. We understand that minimal drawdowns in the short term are okay as we see the long-term picture. This brings me to the two most important topics I want to discuss today. To see the tremendous results of compound interest we need TIME. Really to see the fruits of our labor in anything in life we need time. It takes TIME to develop something great. Trading is no different. With compound interest you need TIME on your side. Because the more time you have the greater your compounded returns will be. So my advice… start compounding NOW. You have nothing to lose! Take a look at the example below. You can see how a simple $10,000 invested at the different rates of return will compound based on different time periods. Now you may be thinking to yourself… these are small rates of return! Cant I expect more from actively trading the forex markets? The simple answer is YES! I am showing you the impact of what most people would consider as normal to average returns and the impact it would have on your investment portfolio. Now just think if you were making double 16%? What would the results of a portfolio compounded over 20 years at 32% per annum amount to? After a simple calculation in a compound interest calculator you would find that a small $10,000 investment compounded at 32% per year for 10 years would result in a final balance of $235,253.13. How crazy is that! Look at the chart below to see the figures. You must have patience in the process and trust that time and the power of compounding are on your side. What does it take to develop patience? Discipline. You must be disciplined to stick with your trading plan and develop that long-term vision. You will not reach these figures by investing for only 1 year… even 2, 3, 4 or 5 years! You must stick it out! The power of compounding only takes form within the last couple years. This is when we see the big returns. After all, when you think about it… 32% return on a balance of $235,253.13 is a much larger number than 32% on $13,200 which is the investment balance in year 2. This is why in trading you must persevere through the difficult times. If you gave up after 1 year of what you considered “ok” trading results… you are missing out on a lifetime of possible gains. So stick it out! Realize the power of compounding and how these seemingly “small” returns can have a HUGE impact on your trading results in the long term. It is the impact of those long term results and how in the first few years it might seem like you are not achieving anything but when you wait it out you will see that the last few years are where the biggest gains are made. To display this in a visual form… take a look at the photo below. In the first 5 or so years you can see that your gains and interest earned are nothing to brag about. This is when your patience is tested. Do you have the discipline to stick it out and keep your long-term vision at the forefront of your mind? After taking a look at this graph I hope you do! You can see the power of a small investment and making achievable 3% per month returns and how this can impact your life! In this example you only invested $22,000 and you came out with over $400,000 in gains! This is the power of compounding interest and making consistent and regular deposits into your savings and trading accounts! Now lets also take a look and see how making regular contributions will impact your portfolio value at the end of the same time period. It you look at the revised chart below you will see the impacts of NOT making regular savings contributions into your investment account. You can see that you ended up with about $100,000 less than if you simple added only $100 to your trading account every month… so my advice? Get in the habit of saving and making regular contributions into your trading and investing account. 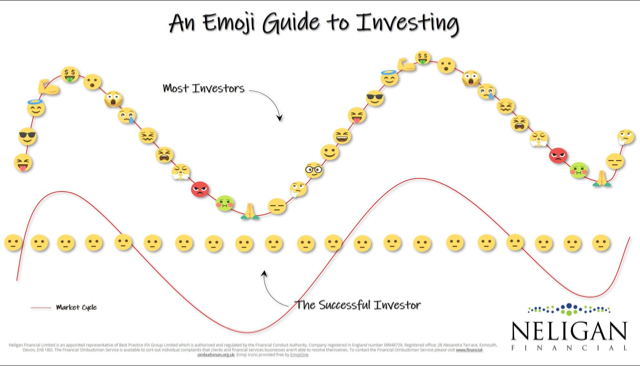 Just by looking at these graphs you can see the enormous impact that this simple habit can have on your investment portfolio over time. Now think if you were to add even more money into your account every month? Take the time to think about what a reasonable amount of money is for you to be able to save every month. Then setup regular contributions in that amount every month and have the discipline to stick to it. Those who have discipline are the ones that will be rewarded. If you find yourself falling short keep this graph in the forefront of your mind so that you are reminded of the powerful impact that one decision can make in your life. I hope that you make that decision today. Your future self will thank you! At DARA we have developed an amazing tool to assist you with measuring your trading progress. It is journaling software designed to help you monitor your results and ensure that you are on track for your goals! If you want FREE access to this software click the button below! Journaling DARA will ensure that you are on track to achieve the desired life you want through trading and investing in the forex markets!